Day 91: All caught up! I became pretty busy and fell behind on posts, sorry. On top of my normal work, I started a graduate statistics course at Stanford that was evil incarnate. I am also trying to finish up my first novel trilogy for my literary agent. 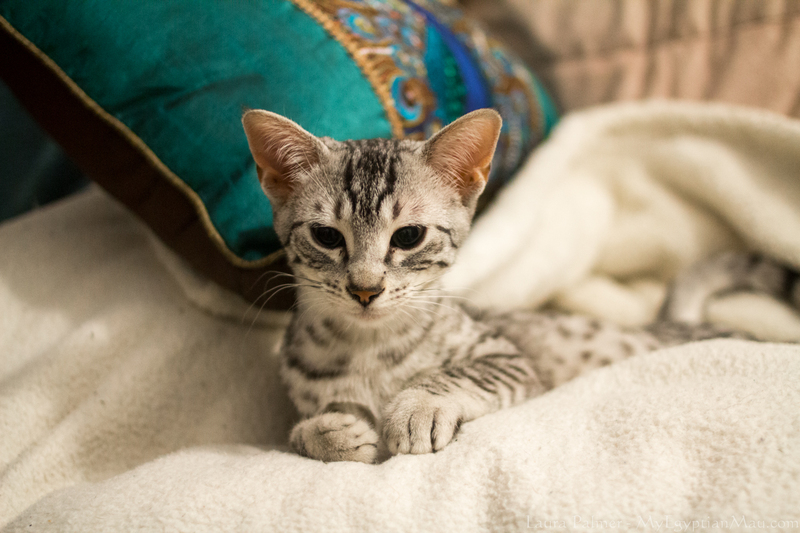 And I had to make.. drumroll.. the 2015 Egyptian Mau calendar! It is much improved from the 2013-2014 calendar with many new photos of both cats – which are not featured on this blog. They make great gifts for Mau owners and breeders. Buying a calendar is also one way to support all the pics and stories I put up.